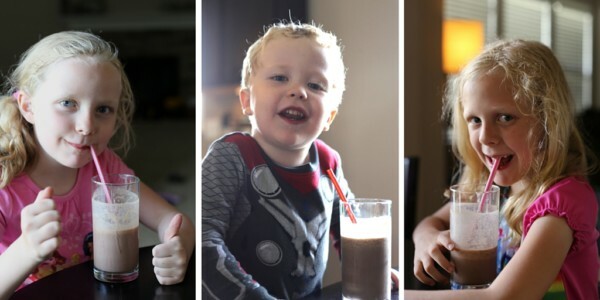 You are here: Home / Kid-friendly Cooking / A Peanut Butter Chocolate Smoothie? Doctor's order! How great would it be if we were really all instructed by our healthcare providers to eat a delicious peanut butter and chocolate smoothie every day?! In my son’s case, it’s not far from the truth. Lucky kid! If you’ve been around here long enough you may know that since Nolan was 9-months-old, he’s been followed by a team of physicians due to poor growth (or often no growth at all). 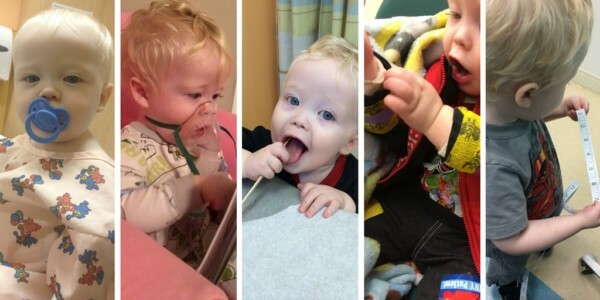 After months of visits with pulmonologists, endocrinologists, immunologists, and a bunch of other specialists, it was determined that his growth delay is related to his asthma and other chronic respiratory issues – but that wasn’t before ruling out all kinds of other scary possibilities, including Crohn’s Disease, Cystic Fibrosis, and childhood cancers to name a few. It can be incredibly frustrating (and scary!) when a child isn’t growing. Developmentally he’s always been more than on track, and most people that see him just think it’s adorable that he’s pint-sized. It’s true, he is pretty darn cute – but that doesn’t take away the worry we can have as parents until we get some answers, does it? Thankfully, we know through a few tests that Nolan very well may catch up over time. In addition to getting the treatment he needs for concurrent issues, endocrinology continues to follow him to make sure he is growing – and specifically, that he is gaining weight. Weight gain leads to bone growth, which equates to overall growth. I’m working this month with Collective Bias and Pediasure on some really fun ways to help kids grow. It’s been clinically proven that two PediaSure® Grow & Gain shakes each day for eight weeks, along with a balanced diet, can lead to healthy weight gain – so we’re more than happy to add the shakes to our mealtime and snack routines in preparation for our upcoming follow up visits! Unfortunately, we all know that with 3- and 4-year-olds, even the tastiest treats can get old if they are obligated to have them every day. 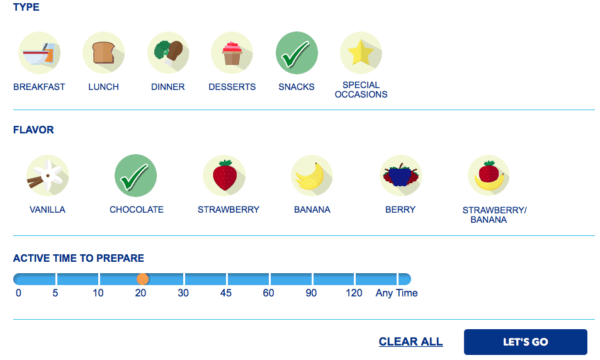 I was thrilled to see the crazy number of fun, delicious recipes that Pediasure shares on their website. Because you know I am a big nerd, I was excited from the start when I saw the ability to sort by flavor, meal, and – my favorite part – amount of time required. More often than not, the moment my kids decide they are hungry they needed a snack, oh, yesterday. Am I right, mamas? So you better believe I’ve favorited the quick and easy recipes… but the variety is great in case you’re looking for something else! The recipe below is for four servings, which fit with plenty of room to spare in our blender. For an individual serving and lots of other smoothie and shake recipes, visit the website here. 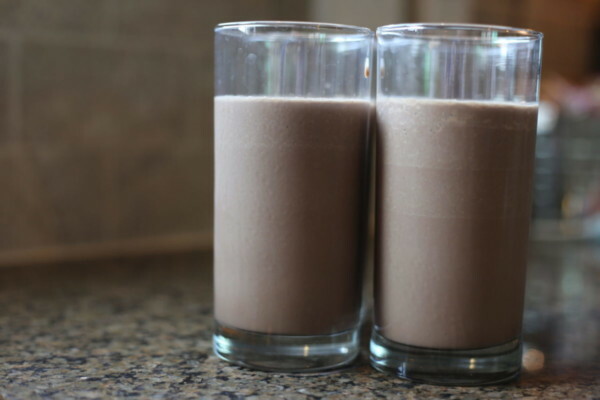 In a blender, combine chocolate shake, peanut butter, and chocolate syrup. 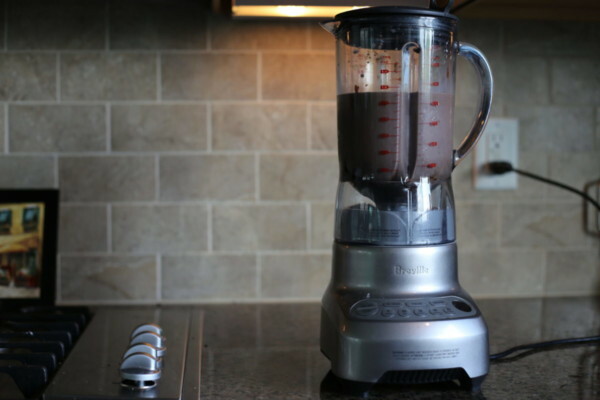 Blend on high until smooth (or use the 60-second smoothie option if you have our favorite blender!) 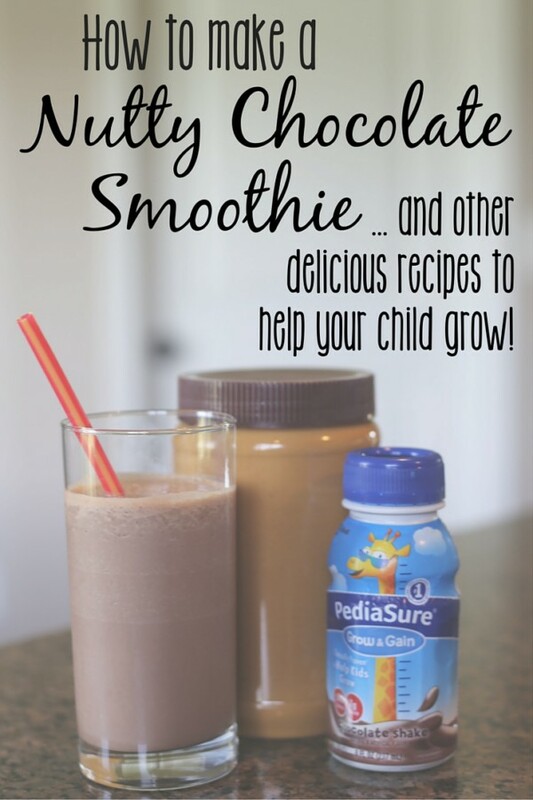 For a nutty vanilla option, use Pediasure vanilla shakes and peanut butter, and omit the chocolate syrup. Pour into a glass and serve immediately. 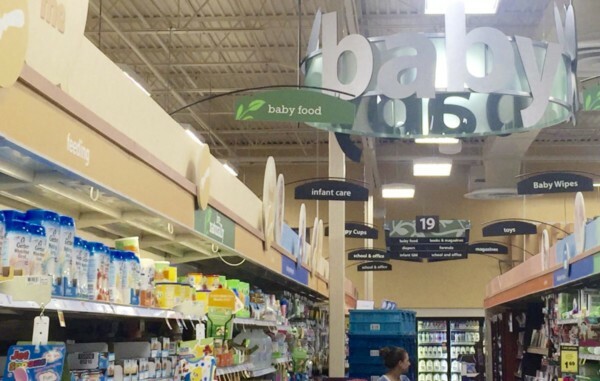 If you’re local and shopping at Kroger (or probably in any Kroger family stores throughout the US), you’ll find the Pediasure products in the baby food and formula aisle. 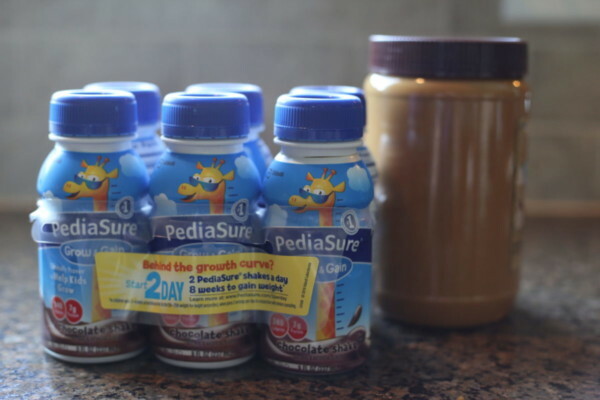 Be sure to sign up at Pediasure.com/2perday for additional savings, product information, and tips and tricks to help your little ones gain weight and grow! Which recipe will you try first? !